How I imagined more of Iceland to be, a barren black volcanic landscape mostly devoid of life, the highlands make up the centre of the island. 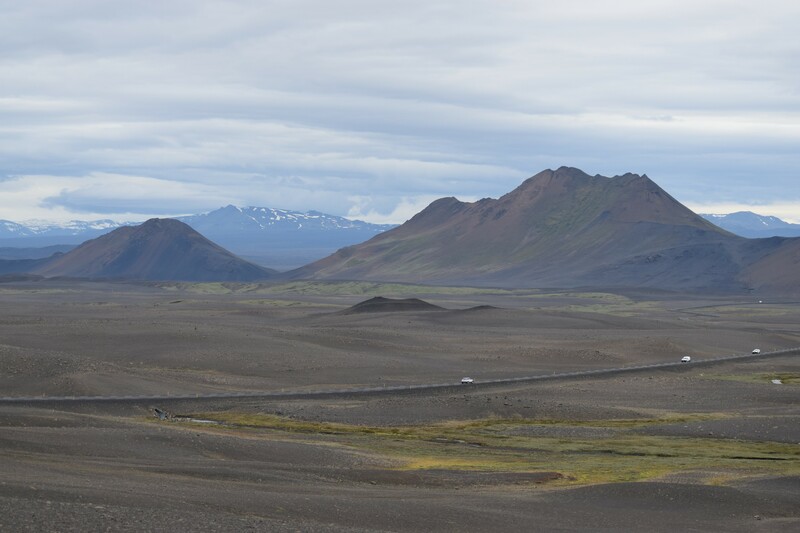 It’s a great experience to drive through this landscape, on the edge of which lies the unusually lush Möðrudalur Valley, home to our accommodation for the night. At 469m above sea level this is the highest inhabited place in Iceland. The church was particularly photogenic as clouds cast shadows on the nearby mountains. It was rivalled by Herðubreið in the distance. A morning treat before we left was being joined by a pair of playful arctic fox cubs who love in the area, quite unafraid of people. The impressive Dettifoss waterfall is one of the most powerful in the country. Even more impressive thing was the epic (and unusually free of tourists) Hafraglisfoss canyon which offered quite incredible views. Beautiful. Will drive in Iceland one day too!